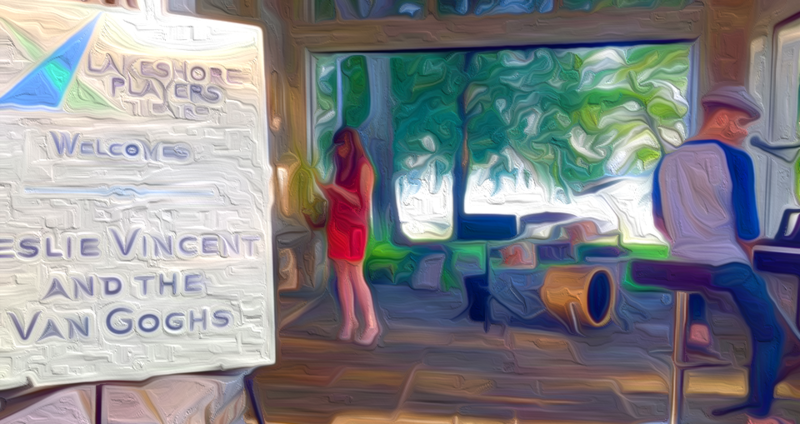 An artist’s rendering of Leslie Vincent and the Van Goghs at a recent gig. Painting by Amy Danielson. Scandal has struck the band Leslie Vincent and the Van Goghs. The acclaimed Minneapolis-based ensemble, whose music ranges from soulful covers of standards to in-your-face feminist anthems, has been riven by an earful of internal strife that cuts to the lobe. Watch a documentary about the band. 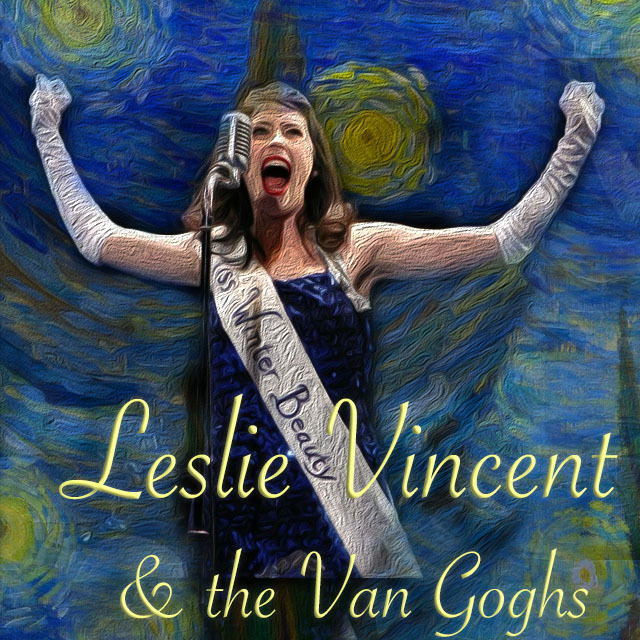 Leslie Vincent and the Van Goghs is a Dutch Post-Impressionist band that is among the most famous and influential figures in the history of Minneapolis cabarets. The group’s output includes musical landscapes, still lifes, portraits and self-portraits, and performances characterized by bold colors and dramatic, impulsive and expressive musical brushwork that contributed to the foundations of modern cabaret art. Keyboard player-guitarist Brian Pekol after a reported shaving accident. The band’s early works, mostly still lifes and song depictions of peasant laborers, contained few signs of the vivid color that now distinguishes its recent work. In 1886, the band moved to Paris, where they met members of the avant-garde, including Émile Bernard and Paul Gauguin, who were reacting against the Impressionist sensibility. As their work developed, the band created a new approach to musical still lifes and local landscapes. Their sonic paintings grew brighter in color as their songwriters developed a style that became fully realised during a stay in Arles in the south of France in 1888. During this period, the Van Goghs broadened their subject matter to include series of olive trees, wheat fields and sunflowers. According to now-deleted postings on Twitter, events came to a head in early March during a visit by Gaugin. Although the details are unclear, the results are. Lead singer and actress Leslie Vincent stormed downtown to begin a personal exploration of what she termed “an almost complete and mostly accurate history of alcohol“. Keyboard player-guitarist Brian Pekol headed in the opposite direction where he reportedly joined a Masonic Temple and speaking only in Frank Sinatra quotes. 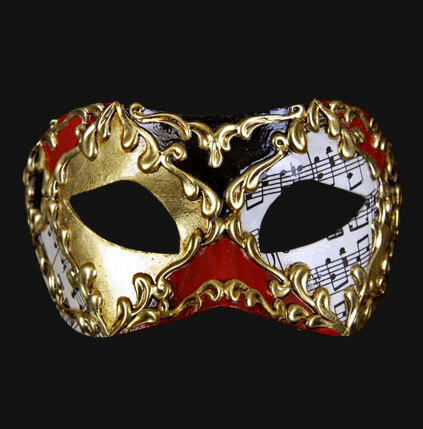 Other band members have refused to speak publicly on the matter, with one stating “Our thoughts and prayers go to our bandmates in this trying time” on condition of anonymity. At press time, Leslie Vincent was spotted at a cabaret featuring the music of Keith Hovis. Her sobriety could not be confirmed, but the cabaret was at a wine bar. 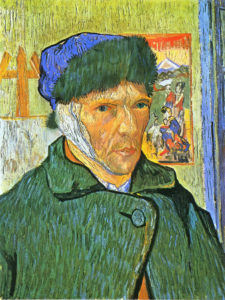 Leslie Vincent and the Van Goghs’ self-titled 2017 album was described by La Vender Magazine as “cutting right to your ear” and “one of the best ways to slice an evening”.